Dr. Leung is the Managing Director of Hewlett Packard Enterprise, Hong Kong and Macau, responsible for overseeing the company’s business strategy and operations in these markets. Under his leadership and dedication, the company has managed to achieve an outstanding performance despite the economic ups and downs, and successfully extended its market reach to customers of all sizes, ranging from multinational corporations to small-to-medium enterprises. 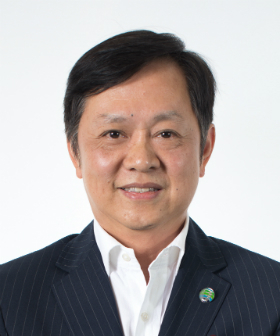 Dr. Leung was the General Manager of EMC Hong Kong and Macau; and prior to joining EMC, he was the General Manager at Sun Microsystems Hong Kong and Macau. With extensive experience in the ICT industry, Dr. Leung is keen on driving the development of the local ICT industry as well as coaching and nurturing local IT talent. He was born in Hong Kong and was graduated at the University of Birmingham, UK. He holds a bachelor’s degree in Electronic and Electrical Engineering. He also obtained his Doctor of Business Administration degree from The Hong Kong Polytechnic University.